… Friday night is party night. Come to the conference venue and register for the SQL Saturday and then spend the rest of the evening with other delegates, speakers and sponsors. We have some great activities lined up for the night and we are offering some prizes for those who join in with our beach / surf style evening. Have you got a loud Hawaiian shirt or maybe board shorts and flip-flops are in your wardrobe just waiting for Summer? Wear them on the Friday night and help us set the tone for a fun and relaxed evening with some great people. 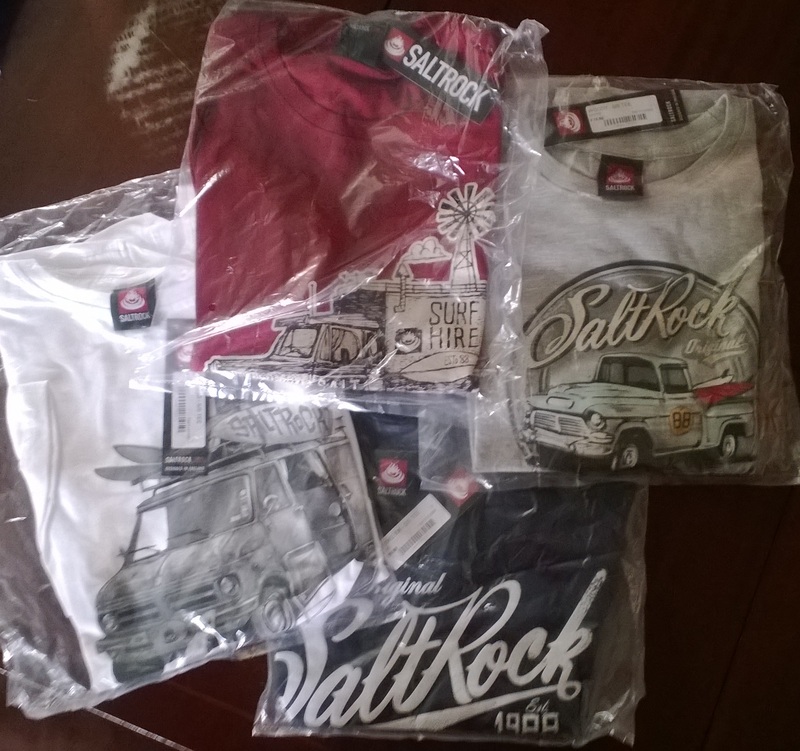 I mentioned prizes and the local surf clothing company Saltrock (www.saltrock.com | @saltrocksurf) have come up with some of their excellent quality and supremely comfortable T-shirts for us to give away as prizes. Many thanks to them for this but don’t worry if you are not one our lucky winners, they have a store in Exeter within 5 minutes walk of the conference venue. It’s about 4 doors away from the Apple store but ask us for directions if you want to call in there. We will be announcing some of the plans for the evening as we get closer to the event, be sure you are subscribed to this site and following our twitter account: @SQLSatExeter. If your name isn’t on the list, you aren’t coming in. If you are attending a training day session then you wont need to re-register but please do bring your name badge so we can make sure that we let you in! If you are bringing a partner to Exeter then you are welcome to bring them along to enjoy the party evening with us. If this is the case please email us us with advice of their name so that we can have a name badge made up ready for them. We are all looking forward to seeing you there on the 21st! This entry was posted in SQL Saturday 269 and tagged Community, Free, Fun, meeting, Party, win on March 1, 2014 by sqlsouthwest. Dave Ballantyne joins us for two sessions looking forward to SQL Server 2014 and how to make the most of it’s new features. Estimation and Statistics : The Basis of query optimization At the heart of SQL Server is the cost based optimizer. Stop and think about that a minute, it attempts to give the “best plan” based on the cost of the work undertaken. How does it know the cost of the work before its done the work ? This isn’t a conundrum, it doesn’t. It estimates! How does it estimate ? That is statistics. This will be a deep dive into how the optimizer makes its decisions to give you a plan, the things that can go wrong and how you can have influence over these choices. This entry was posted in Meeting and tagged Community, Free, meeting, user group on January 28, 2014 by sqlsouthwest.